To facilitate the spiritual progress of human race on the path to God-realisation (Moksha) by imbibing the Vedic instinct in everyone. To propagate His Holiness Dr. Jayant Balaji Athavale’s philosophies and spiritual research works regarding Vedic Sanatan Dharma and spirituality. To facilitate the spiritual progress and material progress of humanity on the concept of four pursuit’s viz. dharma (Righteousness), acquisition of wealth by honest means (Artha), desire for physical and mental happiness (Kama) and liberation of the embodied soul from the vast ocean of materialistic life, that is attainment of the Final Liberation (Moksha) as described in the Vedic scriptures. To educate people about the science of spirituality underlying Vedic Sanatan Dharma and culture. 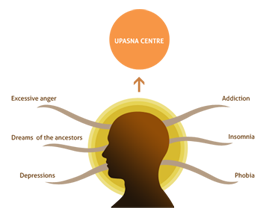 To restore and strengthen the Guru-Shishya parampara (the master-disciple tradition), the backbone of Vedic culture. To re-establish the collapsed varnaashram vayavastha (the system of the concept of classes and stages of life) of Vedic culture for the smooth functioning of the society and the nation as a whole. To preserve the philosophies of Vedic Sanatan Dharma by dispelling misconceptions about them. To stop Dharmaglani (denigration of Hindu Dharma). To stop conversion of Hindus to other religions by imparting Dharmashikshan (imparting education about dharma) to them. To make Bharatvarsh a dharma sapekshrashtra (nation which functions on the basic tenets of Vedic Sanatan Dharma). To preach the Vedic scriptures (dharmagranth), in original Samskrut language and establish Gurukuls to preserve and propagate the ancient Hindu scriptures. To motivate the Hindus to become Karma Hindu (a practicing Hindu) instead of just a Janm Hind (Hindu by birth), which would mean encouraging the Hindus by birth to imbibe seekership qualities and in a way make them practicing Hindus. To establish harmony among the different sects of Vedic Sanatan Dharma. To help the deprived Hindus with all kinds of social, medical, educational and financial aid and help them join the mainstream with confidence. To promote self-reliant, sustainable, scientific, effective and reusable development models and appropriate technologies that conserve natural resources and environment for the betterment of the lives of the poor and disadvantaged Hindus in general, and the rural people in particular. To expound upon the problems faced by the world and promote remedies from the viewpoint of Hindu Dharmashastra. To educate the mass about the subtle world of negative energies, its effect on spiritual and worldly life and protect them by suggesting simple spiritual healing methods and spiritual practice.